Health Promotion or Disease Prevention: A Real Difference for Public Health Practice? It appears that there are two distinct practices within public health, namely health promotion and disease prevention, leading to different goals. But does the distinction hold? Can we promote health without preventing disease, and vice versa? The aim of the paper is to answer these questions. First, the central concepts are defined and the logical relations between them are spelt out. A preliminary conclusion is that there is a logical difference between health and disease, which makes health promotion and disease prevention two distinct endeavours. However, since disease is defined in relation to health, as those kinds of internal processes and states that typically lead to ill health, the difference is smaller than it might appear. Second, in order to answer the practical question whether it is possible to promote health without preventing disease, and vice versa, several kinds of public health interventions are discussed. The conclusion is that while health promotion and disease prevention can be distinguished conceptually, they can hardly be distinguished in practice. Most general measures do both at the same time. I would like to thank Lennart Nordenfelt, Bengt Brülde, Glenn Laverack, Karin Dahlbäck, the anonymous reviewer, and the participants of “the higher seminar” at IHS, Linköping university, Sweden, for valuable comments on earlier versions of this paper. About.com:Sports Medicine. (2008) http://sportsmedicine.about.com/od/injuryprevention/a/Ex_Immunity.htm 2008-11-07. Cleveland Clinic. (2008). http://my.clevelandclinic.org/disorders/Chronic_Fatigue_Syndrome/hic_Diet_Exercise_Stress_and_the_Immune_System.aspx 2008-11-07. Hummel, T., & Nordin, S. (2008). Quality of life in olfactory dysfunction. http://www.senseofsmell.org/feature/whitepaper/whitepaper_print.html 2008-11-08. NCI (National Cancer Institute). (2008). http://www.cancer.gov/cancertopics/pdq/screening/overview 2008-11-09. NNII (National Network for Immunization Information). (2008). http://www.immunizationinfo.org/immunization_issues_detail.cfv?id=140 2008-11-09. Nutbeam, D (1998). Health Promotion Glossary. WHO/HPR/HEP/98/1. (See also: http://www.who.int/hpr/NPH/docs/hp_glossary_en.pdf) (on behalf of the WHO). Tengland, P-A. (2009). Health promotion and disease prevention: Logically different conceptions? 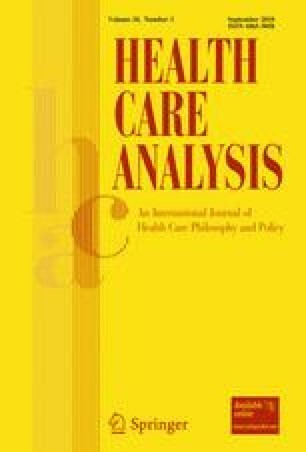 Health Care Analysis. doi: 10.1007/s10728-009-0125-0. WHO. (1990). Some options for improving nutrition in the 1990s. http://www.unsystem.org/scn/archives/scnnews07supplement/begin.htm#Contents 2008-11-09.